Our calendar ideas and custom checklist can help teachers or students plan for a great summer. Don’t let your summer break go to waste. 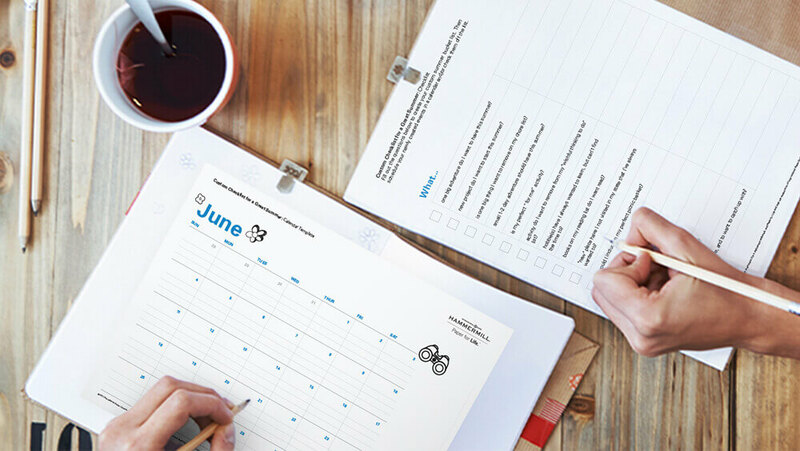 Plan a fun-filled summer with a custom checklist and calendar ideas. Hey There! Welcome to Hammermill. Want to know more about new tips, tools, templates and activities? Take a moment to join our mailing list, and while you’re at it, let us know what kinds of content you’d like to see in the future!